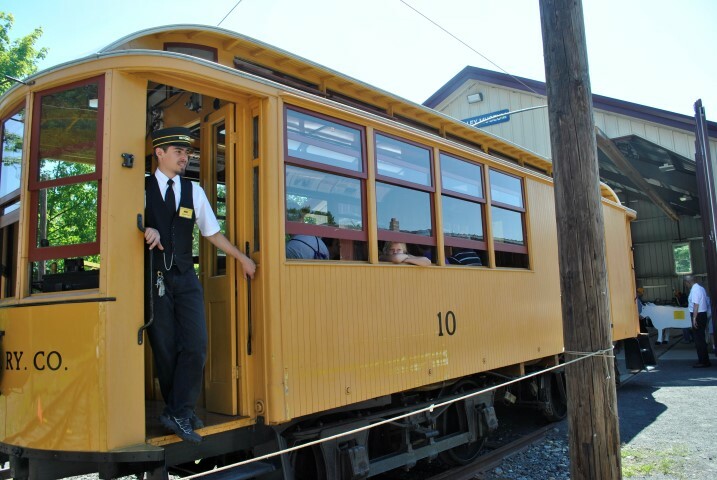 If you ever had an interest in the "hands-on" operations of trolleys and railroads, here is the golden opportunity to operate our beautifully restored Car No. 10 on weekends and holidays. SFTM offers full training and accreditation programs for individuals interested in becoming a motorman, motorwoman, conductor or pump car operator. You must be at least 16 years old to be a motorman, motorwoman or conductor, and at least 12 years old to be a pump car operator. Go to the Training Page for more information on the training and testing required to operate our equipment. 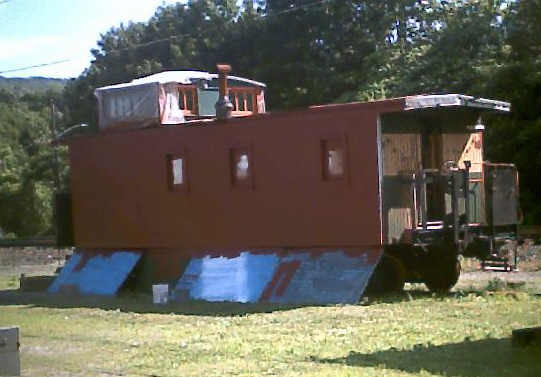 As a member of our shop crew, you'll work with a project leader to restore and maintain our historic collection of steam and electric equipment, as well as our antique coach, freight cars and caboose. We also have an extensive museum campus of historical buildings in various stages of restoration, plus future plans for a new car barn. With a lot of enthusiasm and a little training, you can help maintain our tracks and learn both old and new methods of track reconstruction. We have both scheduleded and unscheduled maintenance programs all year long. 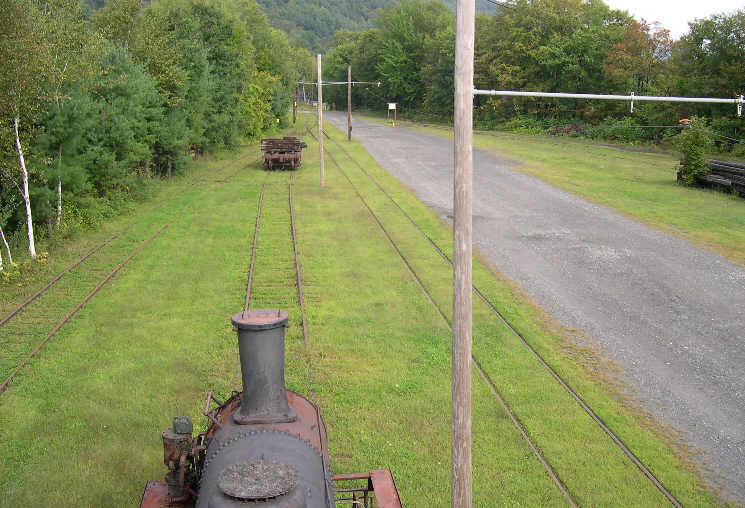 Past projects have included moving entire railroad tracks to more simple tasks such as inserting fresh ties and rail. One person can't do it all! Greet our visitors and help in our Gift Shop with sales and general information on operating days. You'll always meet somebody new! Someone needs to keep ahead of all this grass! Even if you can only come one afternoon for a few hours of string trimming, our guests will appreciate anything you can do. If you can swing a hammer or wield a paint brush, we have projects galore! 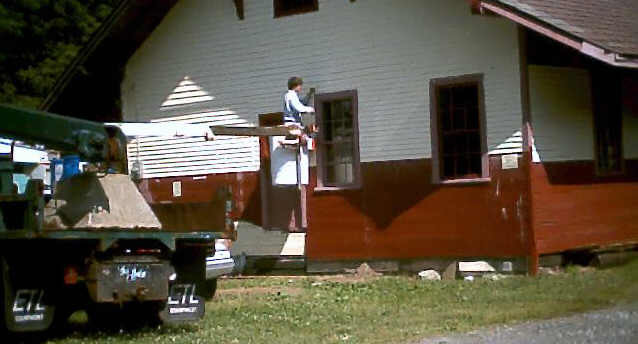 We have roofing, steps, siding, trim, demolition, indoors or out, something for everyone. We even have projects you could take home! Click here for a pdf of our current Projects list. Check for scheduled work parties on our Events Page. Please contact us or just drop by during operating hours if you would like to help out, or for more information.